A book bonanza gave children an opportunity to indulge in literacy. Little Parndon Primary Academy invited pupils and their parents along to a book swap as part of World Book Day. Hot chocolate and treats encouraged families to enjoy some reading, while pupils were able to make bookmarks or be inspired by recordings of author Michael Rosen performing his stories. 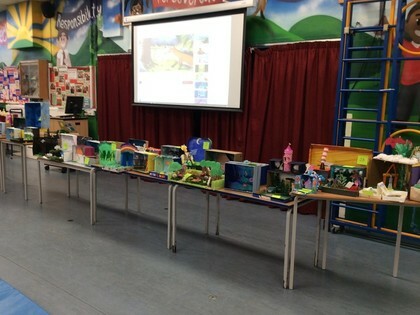 Pupils also took on the storybox challenge and depicted their favourite stories in a shoe box and guessed which teacher had covered their face to read aloud a story.